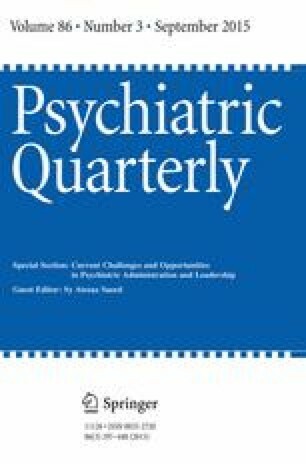 In bipolar disorder, levels of insight vary as a function of the mood state and appear to influence pharmacology compliance, quality of life, the presence of suicidal ideations, and aggressive behavior. To establish a comparison among different mood states in bipolar with regard to level of insight. Forty-eight patients were evaluated in different affective states (i.e., euthymia, mania, depression, and mixed state). Identifying information, sociodemographic data, and clinical records were recorded. The following scales were applied: Hamilton Depression Scale, Young Mania Rating Scale, Positive and Negative Syndrome Scale positive symptoms subscale, and Global Assessment of Functioning and Clinical Global Impressions Scale for use in bipolar disorder. Insight was evaluated using items 11 and 17 of the Young Mania Rating Scale and Hamilton Depression Scale, respectively. Insight in bipolar disorder was found to be more compromised during manic phases and mixed episodes than during periods of depression or euthymia. The factors associated with lower levels of insight were the following: shorter illness duration, older age, and greater severity in mania; the female gender and older age in depression; and shorter illness duration and more severe depressive symptoms in mixed episodes. In the same individual, levels of insight vary as a function of the affective state over the course of bipolar disorder and appear to be influenced by several clinical variables.